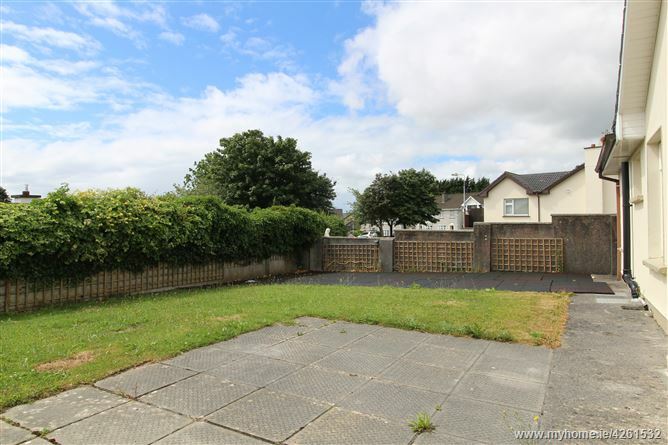 Number 74 Tirellan Heights is a detached single storey property situated on a corner site within the mature and well established development of Tirellan Heights. 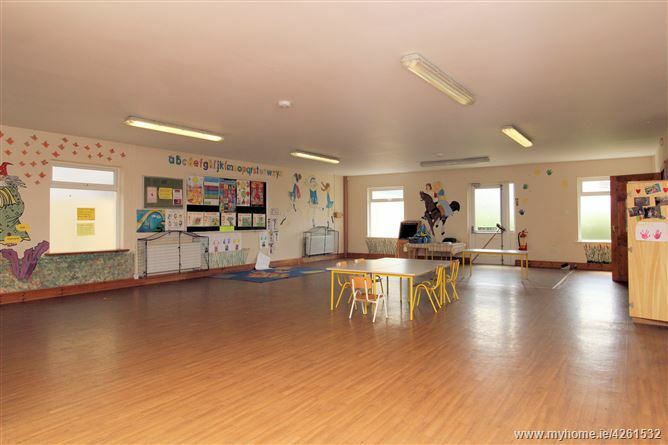 The property was used most recently as a preschool and may also be suitable to convert to a dwelling house (Subject to obtaining any necessary permissions). 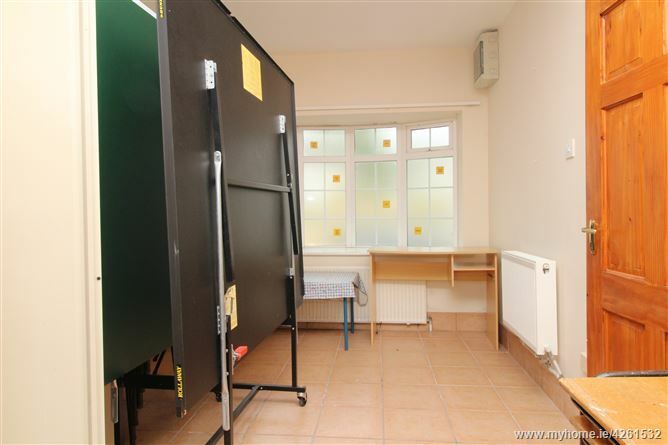 The existing accommodation comprises an entrance lobby, kitchen, large open plan room, small room and 2 toilets. Outside there is parking to the front and a garden to the rear with lawn, patio area and small shed. 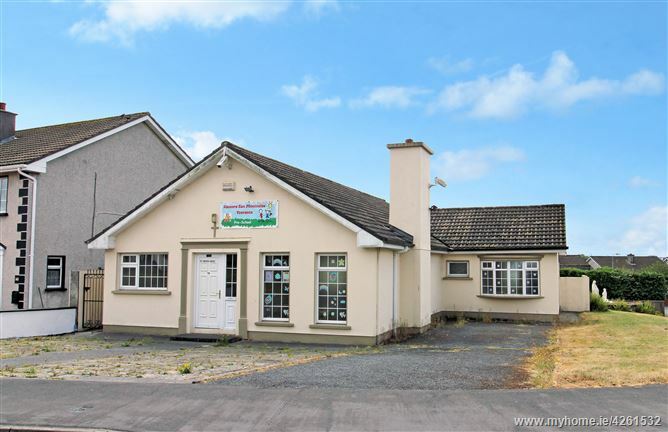 The property is ideally positioned adjacent to the national school and within a short walk of Galway Shopping Centre, Galway Retail Park, Terryland Retail Park, Dunnes Stores Terryland, the Menlo Park Hotel and Maldron Hotel. 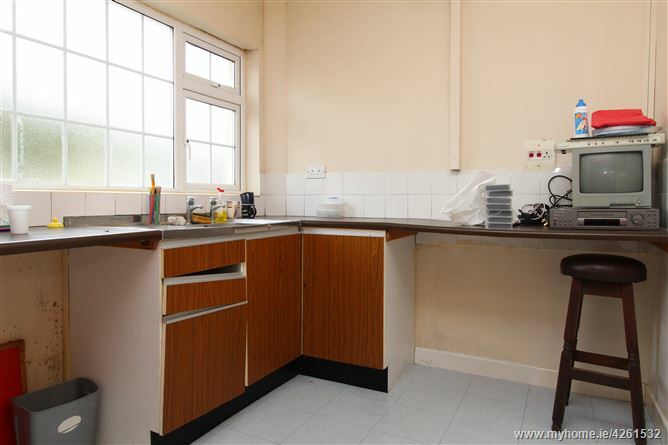 Approximate Gross Internal Floor Area c. 1,330 SQ FT. Parking area to the front. Rear garden with lawn, patio area and small shed. Messrs. Mullery Auctioneers Ltd. for themselves and for the vendors or lessors of this property whose agents they are, give notice that:- (i) The particulars are set out as a general outline for the guidance of intending purchasers or lessees, and do not constitute, nor constitute part of, an offer or contract. (ii) All descriptions, dimensions, references to condition and necessary permissions for use and occupation, and other details are given in good faith and are believed to be correct, but any intending purchasers or tenants should not rely on them as statements or representations of fact but must satisfy themselves by inspection or otherwise as to the correctness of each of them (iii) No person in the employment of Messrs. Mullery Auctioneers Ltd. has any authority to make or give any representation or warranty whatever in relation to this property. 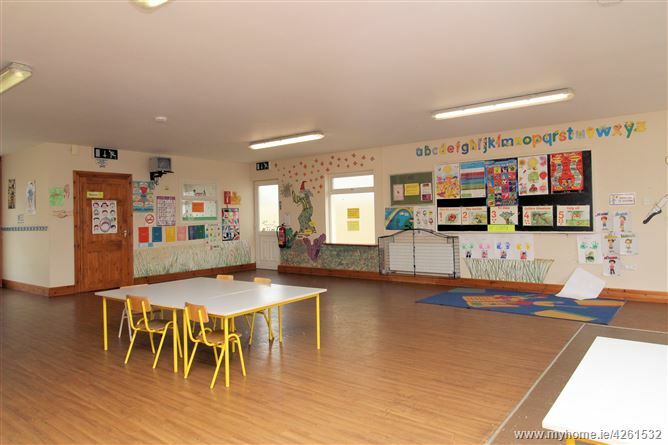 (iv) We have not tested any apparatus, fixtures, fittings or services. Interested parties must undertake their own investigation into the working order of these items. (v) All measurements are approximate and photographs and maps provided are for guidance only. (vi) Prices quoted are exclusive of VAT (unless otherwise stated) and all negotiations are conducted on the basis that the purchaser/ lessee shall be liable for any VAT arising on the transactions.